Mother of ten trying to homeschool HELP!!!!! I decided to home-school this year because I felt that my children are not learning what they need to learn in school. 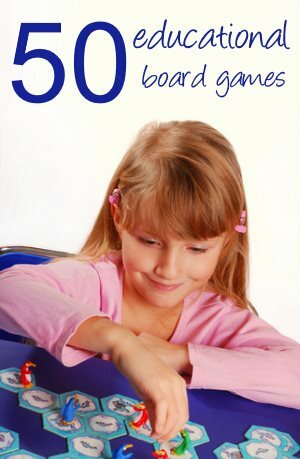 I found that it is very challenging to try to home school so many different age groups. So I would like to know what I can do make this journey interesting and less stressful for us all. I have a 2yr old, 4yr old, 5 1/2yr old, 7 1/2yr old, 9yr old, 11yr old, 13yr old, 14yr old, 15yr old, and a 16yr old. I do not know if I should follow a timed schedule or what type of curriculum to use with them. I am lost but I really want this to work. "It doesn't matter what your circumstances are or how many children you have; there are families with two children who struggle with chaos, and families with ten children who live in peace and order." So I think a lot will depend on your family and how you all enjoy doing things. "Whether you combine children in the same Year or keep children in their own Year, you can combine art appreciation, music, nature study, Shakespeare and other topics that aren't specifically grade-relevant. It can be useful for even the youngest child to listen in on the older child's Plutarch lesson; even if nothing is required of him - the exposure to the language may help prepare him for future books in later Years." "We have seven and unschool.....Unschooling is awesome in a big family, because my kids are all working together and learning from each other, as well as me." 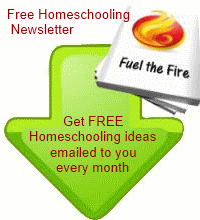 My advice would be to have a think about how you would love homeschooling to work for you. Then decide if that is realistic for you all and adjust the plan to accomodate to your own family's quirks and characteristics. I am sure it will take some experimenting. And some days are bound to work better than others. But trust yourself - I am sure you intuitively know what is best for your family. I wish you the best of luck. I would love to hear how you decide to work things. Comments for Mother of ten trying to homeschool HELP!!!!! I agree with Julie - look at how you run your family life - is it really timely structured, is it more routine or is it more totally relaxed - that will tell you a lot about how/which homeschooling approach to follow - and then tweak things along the way. The number 1 thing I would do immediately though is unit studies - choose one topic that you will all be learning about and then have different age/level children contribute/learn in different ways. And don't forget about olders helping to teach youngers - they say what you teach is what you learn. Math can also be included in unit studies or just have the same program at different levels for math - so choose one curriculum program and make it work differently for different kids - you may do more hands on with manipulatives for the youngers than you would wit the olders who will be more independent in doing their math and only needing your help when they get "stuck". You indicated that they weren't learning what you think they should be learning - you could start there too - if you think a child struggles in a particular area managing to work one on one with that child will help you see the progress that perhaps you are looking for. You can do this - it may take some time for you to find the way that works best for you - but it can be done - others have done and so can you. Please keep us up to date on how it's going! I would consider a workbox system, where each child has a series of bins (or a list, or a flip chart) with their tasks for the day. You need to lay it out each night for them and as work is completed they can either bring it to you for checking or turn their bins backward, letting you know that it is ready for correction. The nice thing about this methodology is that it shows each child what they have to accomplish and how much is left as they progress. Even the little children can have tasks, such as "play with beans in the bin" or "count socks in a drawer." You can incorporate Montessori skills for the younger ones as well, such as wiping down tables and setting places for lunch while older kids can be assigned progressively harder household tasks as part of their work. You may begin by asking them to make salad with the end goal of showing them how to run the kitchen (the final task may say something like "Plan tomorrow's dinner including groceries needed, recipe planning and kitchen assistants, then execute your meal plan. You have $15." This type of life lesson is every bit as vital as a history lesson. If you are too frazzled to pull together curriculum and resources for the children each day, maybe consider an online curriculum or supplement with online, such as k-12 or time4learning. Also consider joining your local homeschool association. Mine offers classes for children, either for a small fee or in co-op fashion, where parents trade lesson time for teaching time.